Salads are lovely during Summer. Nice and fresh. 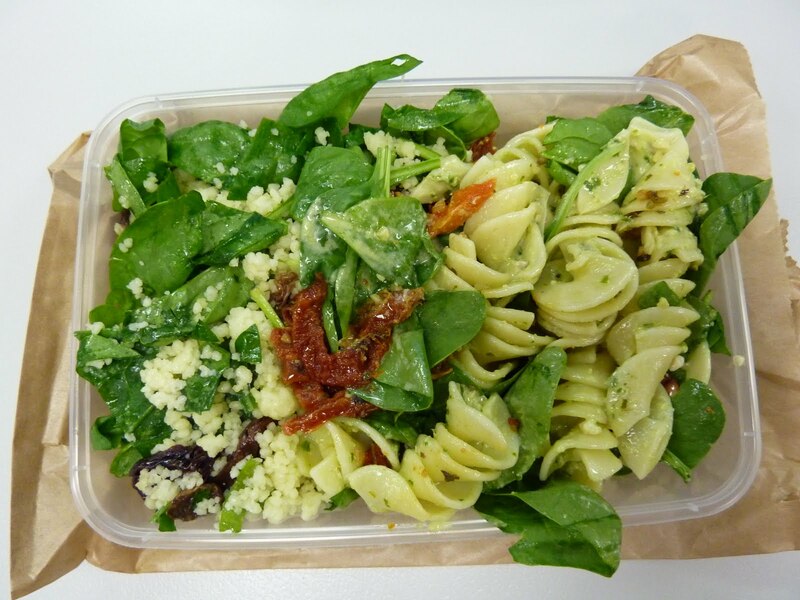 This one came from Pranzo in West Perth and was basically half cous cous, baby spinach and vinaigrette salad and the other half was a pesto pasta salad. For $7.50 it was a very generous serve which I struggled to finish. The flavours were fairly decent, but I suppose it’s just the case with a lot of salads that towards the end the dressing seems quite intense and gets a bit overwhelming. It definitely feels like a healthier option though, which can be hard to find at lunchtime these days.